Back in December, some bamboo strips got a mention in a post on this site. 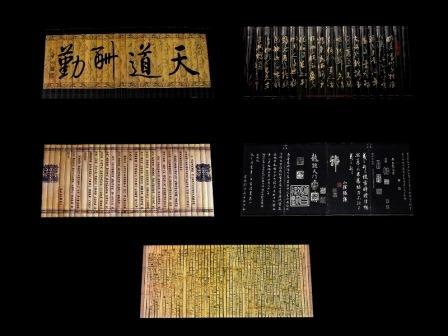 The post touched on medical texts written on bamboo slips that were unearthed during the construction of a subway in Chengdu, China. More details have since emerged. It turns out that the 2,000 year old bamboo strips are mainly texts about diagnosing disease by taking the patient’s pulse. This practice, commonly known as the 29 Pulses, is still used today. My local acupuncture practitioners certainly use it (and to good effect). Amazon has an extensive range of books on the subject, if you’d like to learn more. Pulse diagnosis in traditional Chinese medicine can provide very detailed information on the state of the internal organs and, indeed, every part of the body. Taking the pulses is one method that an acupuncturist, who is trained in the practice, may use to determine which points to treat with their acupuncture needles. Some of the very early acupuncture needles are thought to have been made of bamboo too: a far cry from what we see, and hardly feel, today. Modern, stainless steel, acupuncture needles are very thin, ranging from 0.16 mm to 0.38 mm in thickness. The tip of a modern acupuncture needle is conical in shape, which allows it to penetrate the tissues, separating the fibres of the muscle as it enters, without causing damage. A bamboo needle might induce a less subtle sensation. (Just the thought makes me wince). As an aside, the fascination with bamboo strips extends beyond academia. You can find bamboo strips for The Sims 3 , also mentioned in a previous post. Noiranddarksims is offering a Bamboo Slip Conversion as the latest in Decorative Objects. I must confess though, I don’t get it. Can someone please explain? The significance of traditional pulse diagnosis in the modern practice of Chinese Medicine. This entry was posted in All, Bamboo around the world, Food, Home and Health and tagged acupuncture, bamboo, bamboo strips, China, health, Sims 3 on 29/05/2014 by Deb. In the introductory post about bamboo salt, I promised to follow up on some academic papers written about bamboo salt . Bamboo salt has inspired the creation of many blogs, but very few provide references for the fabulous claims made about the miraculous health benefits of bamboo salt. The main body of research on the effects of bamboo salt on diverse aspects of health comes largely from Korea. This is unsurprising given that bamboo salt is made in Korea and firmly embedded in traditional Korean medicine. Moreover, the specific properties of bamboo salt are attributed to the minerals found in the local materials used to make the salt – sea salt, bamboo, and clay. Here are very brief summaries of the main findings, along with the full references, of seven selected studies. 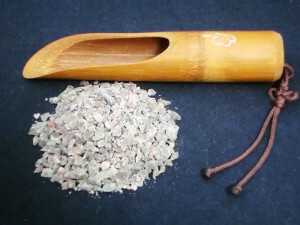 Purple bamboo salt contributes to the prevention or treatment of inflammatory diseases. Shin, H. Y., Lee, E. H., Kim, C. Y., Shin, T. Y., Kim, S. D., Song, Y. S., … & Kim, H. M. (2003). 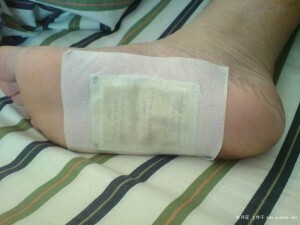 Anti-inflammatory activity of Korean folk medicine purple bamboo salt. Immunopharmacology and immunotoxicology, 25(3), 377-384. 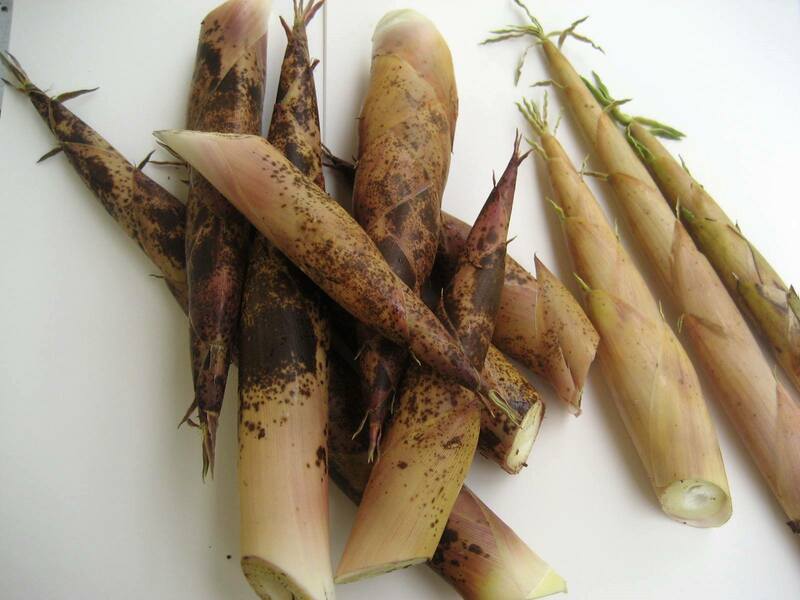 Purple bamboo salt improves buccal mucosa cancer preventive activity compared with sea salt in mice. (The buccal mucosa is the lining of the cheeks and the back of the lips, inside the mouth where they touch the teeth). Zhao, X., Deng, X., Park, K. Y., Qiu, L., & Pang, L. (2013). Purple bamboo salt has anticancer activity in TCA8113 cells in vitro and preventive effects on buccal mucosa cancer in mice in vivo. Experimental and therapeutic medicine, 5(2), 549-554. 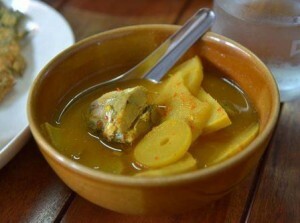 Bamboo salt has strong bactericidal activity and is effective to use against enteritis salmonellosis (food poisoning). It is thought that the strong alkaline property of bamboo salt could be a fundamental factor for the antimicrobial activity. Moon, J. H., Shin, H. A., Rha, Y. A., & Om, A. S. (2009). The intrinsic antimicrobial activity of bamboo salt against Salmonella enteritidis. Mol. Cell. Toxicol, 5, 323-327. Experiments on lab rats suggest the potential usefulness of bamboo salt in treatment or prevention of chemical-induced liver damage. Zhao, X., Song, J. L., Kil, J. H., & Park, K. Y. (2013). Bamboo salt attenuates CCl4-induced hepatic damage in Sprague-Dawley rats. Nutrition research and practice, 7(4), 273-280. Bamboo salt licks are often provided to livestock run in rubber plantations in Indonesia for essential mineral supplementation. Horne, P. M., Pond, K. R., & Batubara, L. P. (1994). Sheep under rubber: prospects and research priorities in Indonesia. Integration of Ruminants into Plantation Systems in Southeast Asia, 58-64. Lastly, I found a study about the bamboo salt use that started this post series: bamboo salt toothpaste . The study does not say ‘toothpaste,’ but rather, refers to a dentifrice made with bamboo salt. The study found that use of dentifrice containing bamboo salt “significantly increased the level of the surface hardness and decreased mineral loss.” As well as providing protection against tooth decay through strengthening of the tooth enamel, the dentifrice also significantly decreased depth of the damage on the teeth compared to the other two [control] groups. Choi, C. H., Ha, M. O., Youn, H. J., Jeong, S. S., Iijima, Y., Sohn, W., & Hong, S. J. (2012). Effect of bamboo salt-NaF dentifrice on enamel remineralization. American journal of dentistry, 25(1), 9. The high alkaline values of bamboo salt are frequently lauded as one its most therapeutic properties. Indeed, in a number of the studies above the high alkalinity is attributed as providing the conditions for curative effects. For example, (to stick with bamboo toothpaste), tooth plague requires an acidic environment to thrive. The acids eat away at tooth enamel causing demineralisation, leaving teeth open to decay. By using a bamboo salt toothpaste, we would promote a more alkaline environment in the mouth and assist in re-mineralisation of the teeth. My local Korean store does not stock bamboo salt, or bamboo salt toothpaste – he looked so surprised that I even asked! Never fear, you’ll find some on Amazon – except if you’re in Australia. Amazon does not ship bamboo salt to Australia. But you can find some on eBay au. There is a shop that sells both bamboo salt toothpaste and bamboo salt . This entry was posted in All, Bamboo around the world, Food, Home and Health and tagged bamboo, bamboo salt, health, Korea on 20/01/2014 by Deb. The mention of bamboo salt toothpaste in a recent post piqued my curiosity about bamboo salt. There are many websites extolling the miraculous virtues of the stuff. It all seemed too good to be true, so I did some research. The more research I did, the more interested I became. 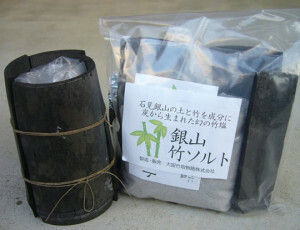 A product of Korea, bamboo salt is sun-dried sea salt roasted inside sections of bamboo that are sealed with clay. 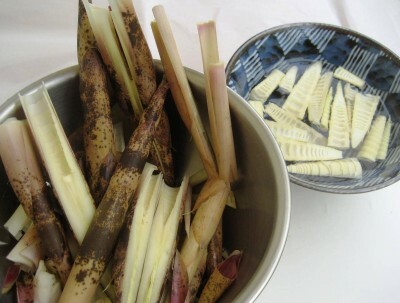 Mature bamboo, of at least three years old, is used for the process. 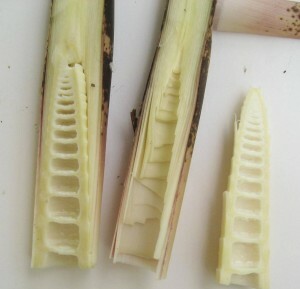 The clay used to seal the bamboo sections is usually yellow clay, high in minerals. 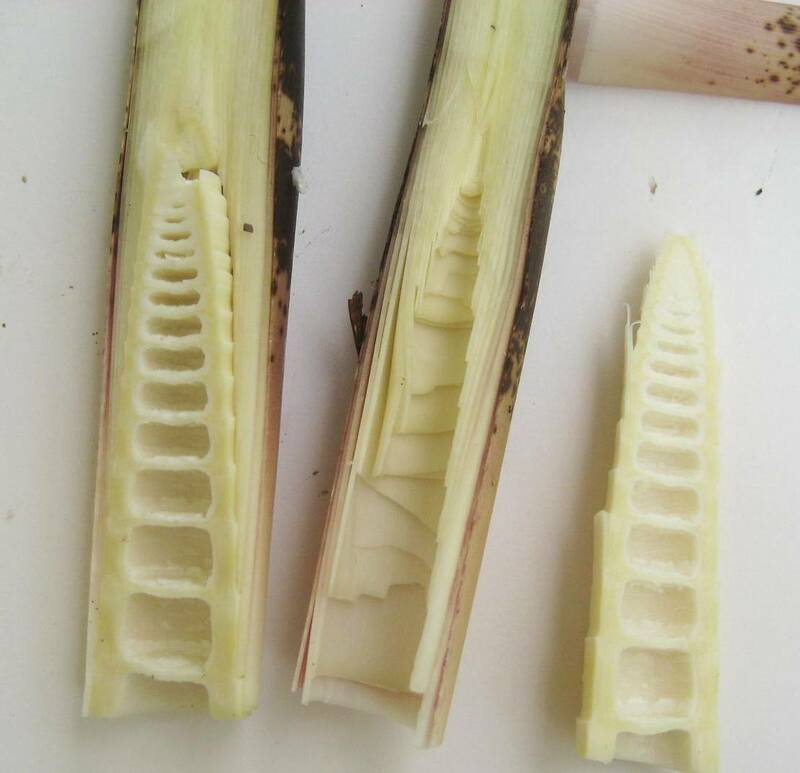 Sections of the bamboo culm are cut leaving one end open and the other end closed. 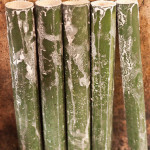 The bamboo tubes are filled with the sun-dried sea salt and tamped down firmly. The open is end is sealed with clay. The tubes are stacked inside a furnace and roasted using timber from pine trees. The result is hard column of solidified salt. The column of salt is crushed. This process may be repeated three, six or nine times to give different grades of culinary and medicinal salt. 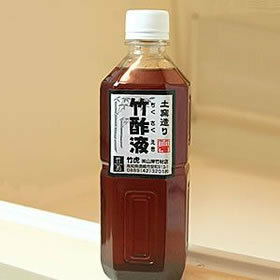 Medicinal grade bamboo salt is very high in minerals. Most sources I consulted for this post say at least 70 different minerals. Bamboo salt is highly alkaline, a powerful antioxidant and has excellent anti-bacterial properties. The lengthy production process probably accounts for the high price . 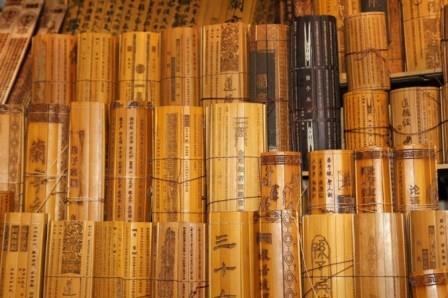 There are numerous academic papers published about the medicinal benefits of bamboo salt. I’m planning to study a good cross-section of the ones I can get access to and publish my findings here in future post. Good holiday reading! Have you tried bamboo salt for culinary or medicinal purposes? Unfortunately for Australians looking to buy bamboo salt, Amazon does not ship it to Australia. It is, however, available on eBay au. This entry was posted in All, Bamboo around the world, Food, Home and Health and tagged bamboo, bamboo salt, health, Korea on 09/01/2014 by Deb. Experimentation with bamboo leaf tea continues. I’ve been drinking a cup or more of bamboo leaf tea most days for past 3 months with a view to observing any noticeable health benefits. Most importantly though, I really like the flavour of the tea. Despite my research efforts, I was unable to locate any definitive research on the bio-availability of nutrients in bamboo leaf tea. In the course of the research however, I did come across another tea called bamboo leaf tea. Also known as Zhu Ye Qing, this is a green tea first grown and produced by a monk near the top of Emei Shan, a famous Buddhist mountain in Sichuan province, China. It is called Green Bamboo Leaf because of its bamboo leaf shape not because it is actually made with bamboo leaves. You can read more about Zhu Ye Qing here. 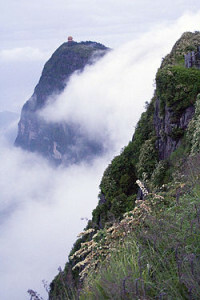 The tea undergoes seven processes before it’s ready to drink. It’s quite expensive. Amazon stocks it. 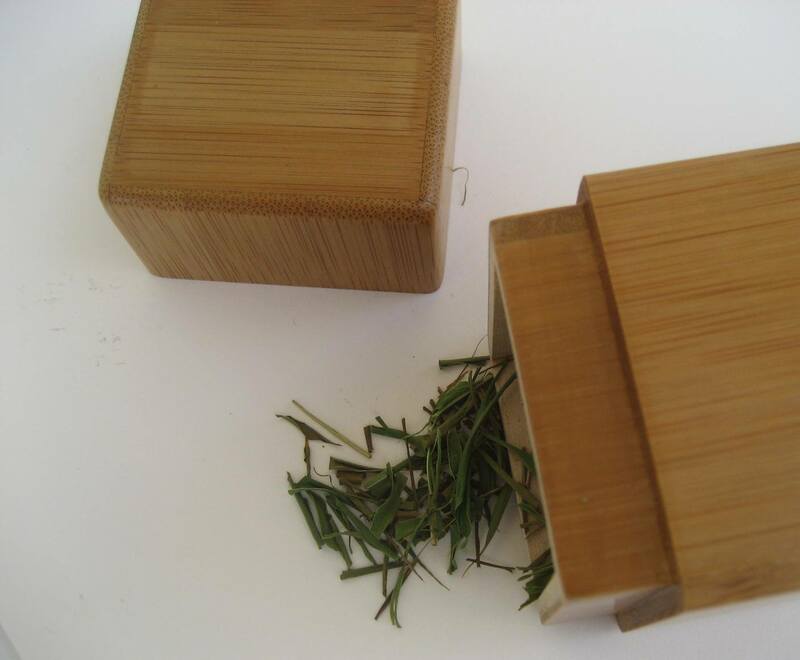 In Bamboo Leaf Tea – part 2, I shared some different ways the tea is made in Japan. Not having the same kinds of equipment, I developed a similar method using what I have in the kitchen here. The cut-up leaves are tossed around in a wok and toasted until the aroma changes from green grass to toasted rice and the leaves are just starting to brown. A saucepan of water is bought to the boil and toasted leaves are added. Slow boil the leaves for a few minutes. Its ready to drink now. I put my cooked tea in a coffee plunger (I don’t have a teapot) and drink the tea throughout the day. If this is all too much bother, or you just don’t have access to fresh young bamboo leaves, Amazon stocks a range of bamboo leaf teas . This entry was posted in All, Food, Home and Health and tagged bamboo, bamboo leaf, bamboo leaves, health, herbal tea, tea on 17/12/2013 by Deb.